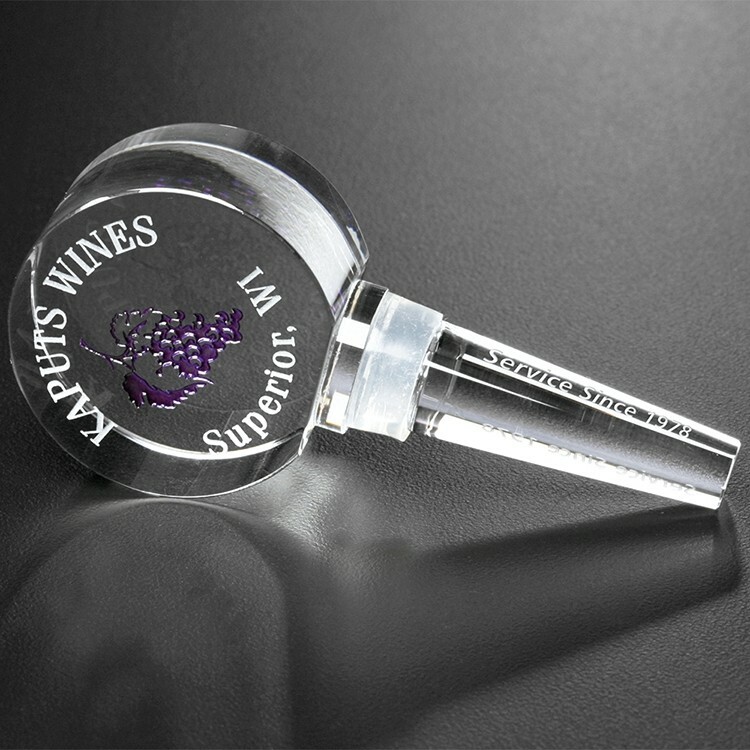 Circular shaped wine stopper allows you to re-cork your wine or spirits bottle with ease & maintains fresh tasting wine. These popular 5" Round Jar Openers are not only handy when opening that tight lid, but also can be used as a Multi-Purpose Coasters for Kitchen, they're a great place to put your message or brand. Since jar openers areivers your marketing message. Plus, fabric jar openers can be easily washed ad frequently used in kitchens everywhere, they're perfect for everyone. 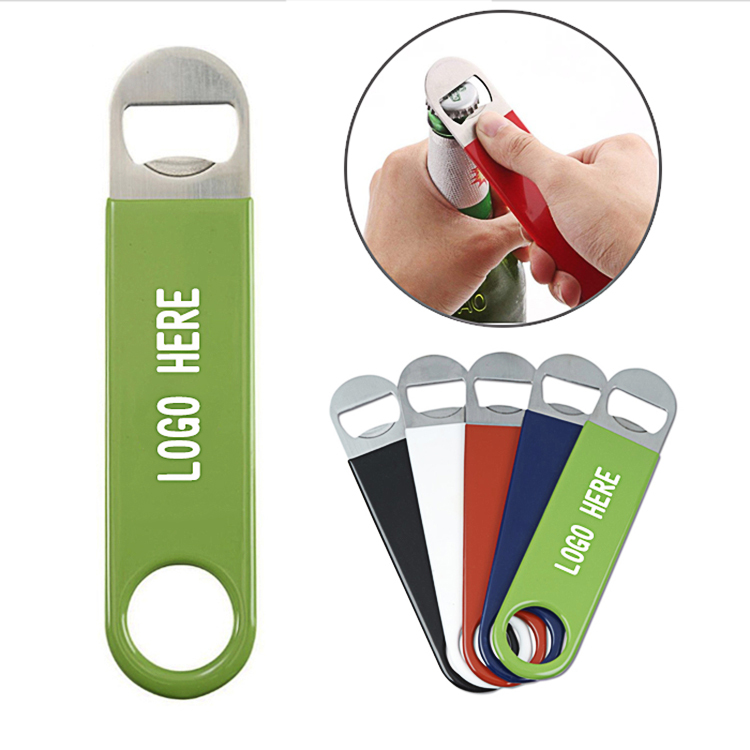 Printed in many process, this jar opener's vivid, full color sublimation imprint successfully delding to their promotional longevity. 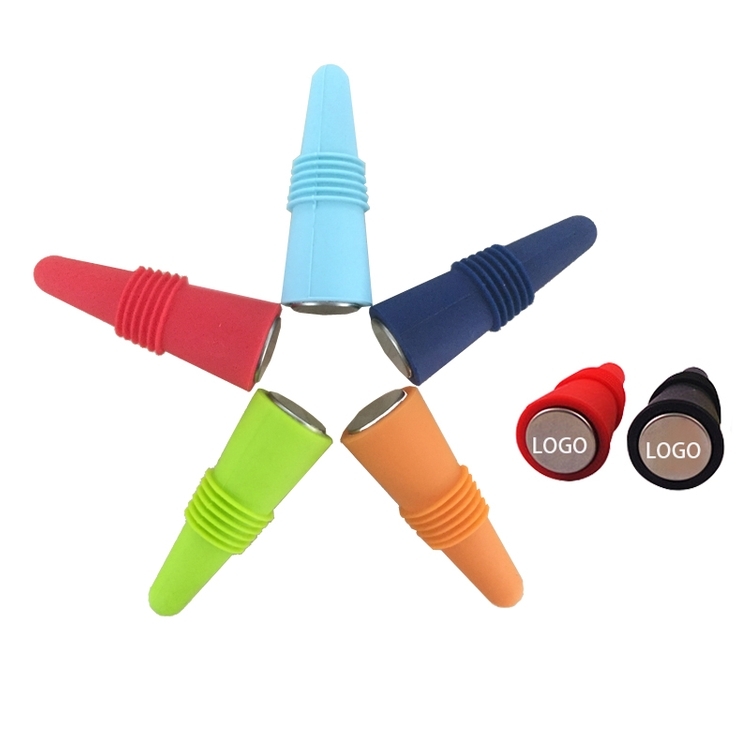 Great for events, meetings, gifts, trade shows and giva ways. 5" Diameter. The material is Silicone. 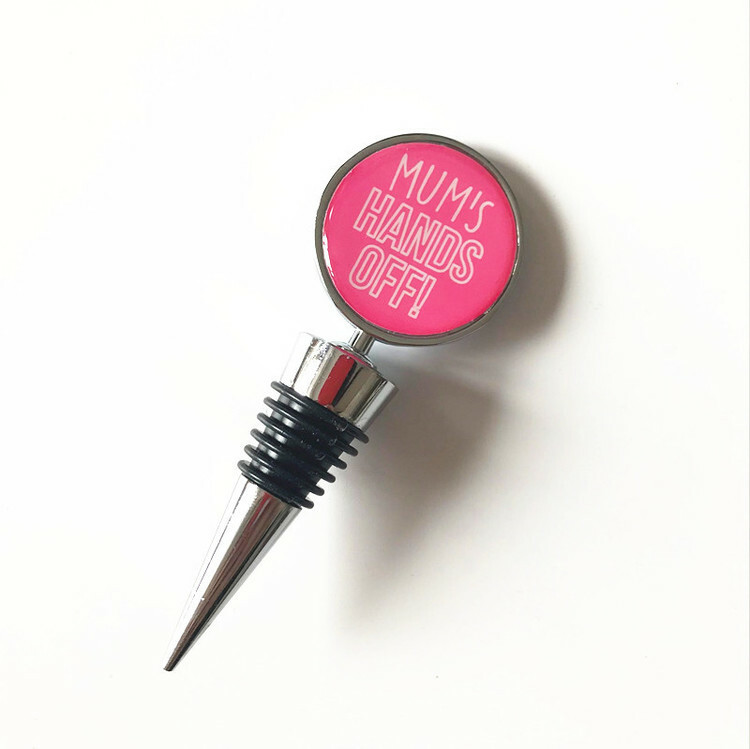 Keep your wine fresh with this vacuum bottle stopper! Put the stopper on the bottle, press the top several times to get vacuum. Push the stopper to one side to open. 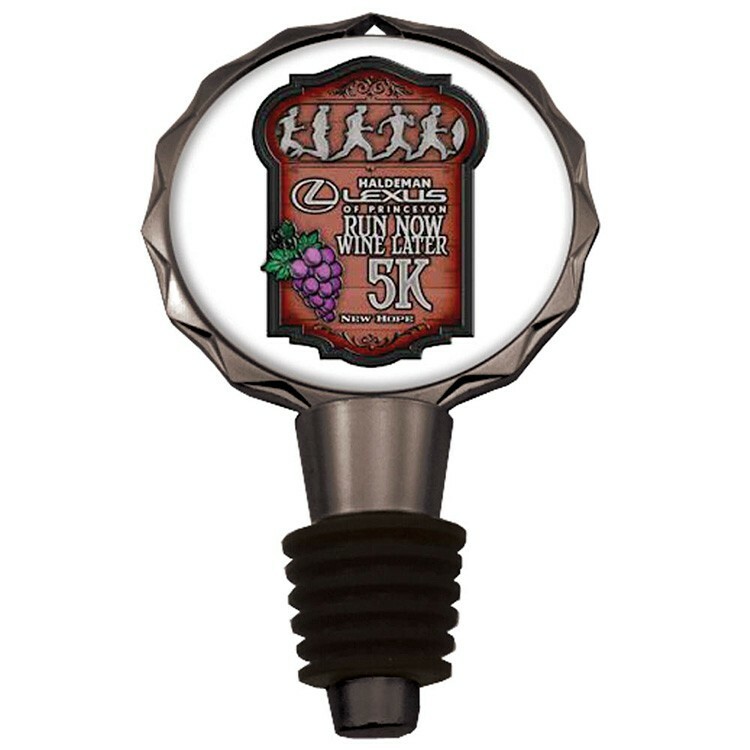 Available in multiple colors, this wine stopper can be customized via silkscreen to fit your brand's style. 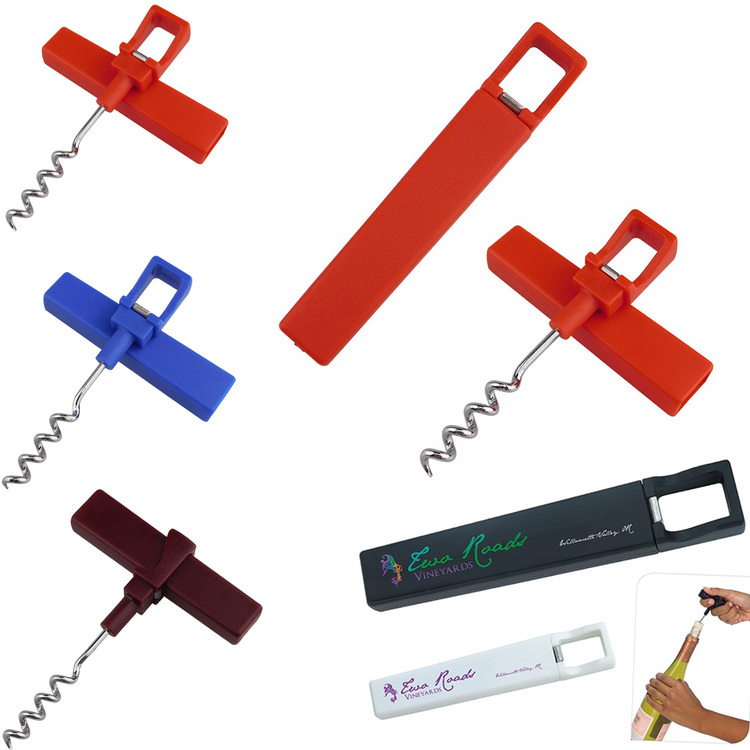 Make a great giveaway at next wine and beverage events with this product. This bottle stoppers is made 100% food grade material. Silicone and stainless steel accent won’t crack or fade. These stoppers insert easily and remove with a single pull. Safe and easy to clean. Custom logo can be laser engraved imprinted with all colors. Price includes 1 color 1 side 1 location with silkscreen printing. 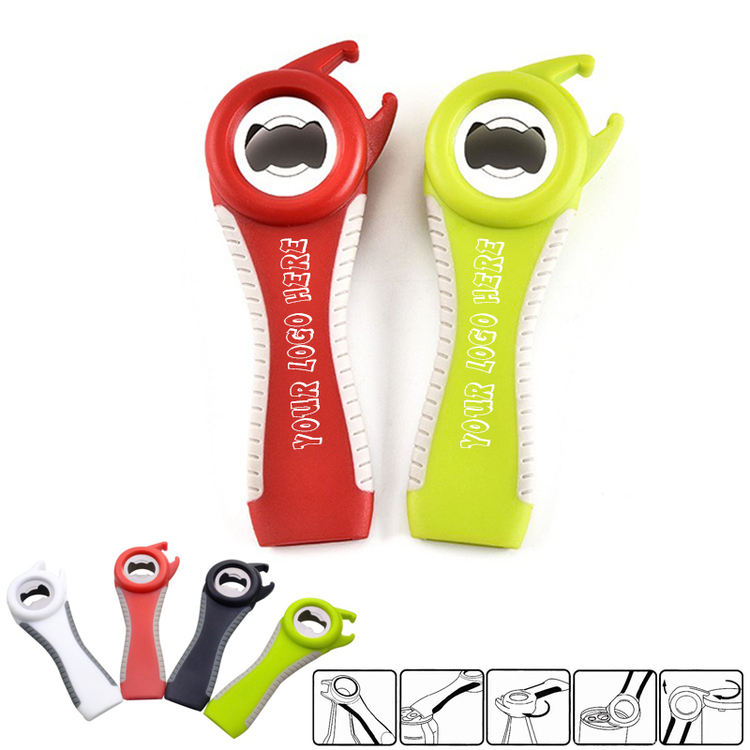 Made of ABS and standard steel, multifunction, can be used to open many kinds of bottles and cans. 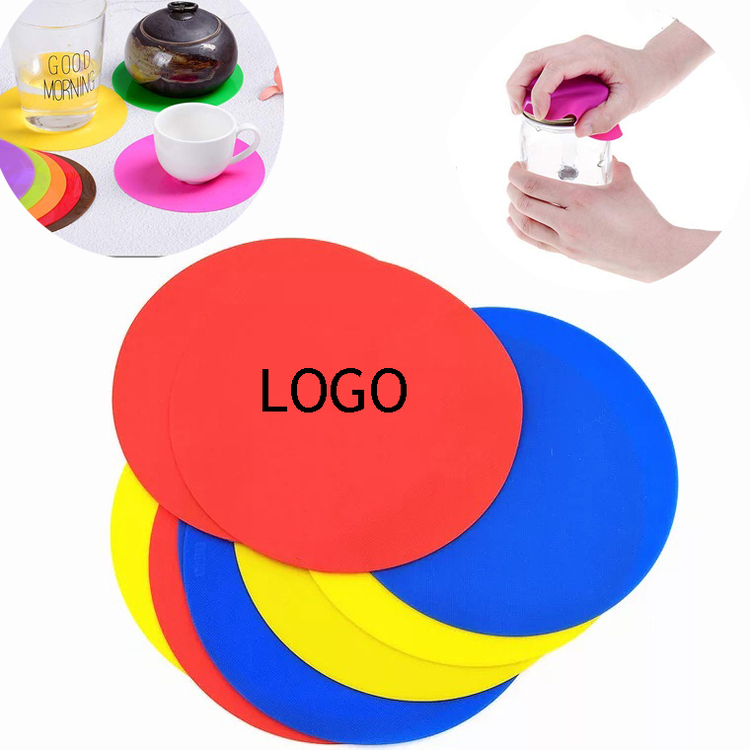 Add your logo/brand on it, make it to be a mass giveaway gift, your customers will love it very much and keep your brand deeply in mind. 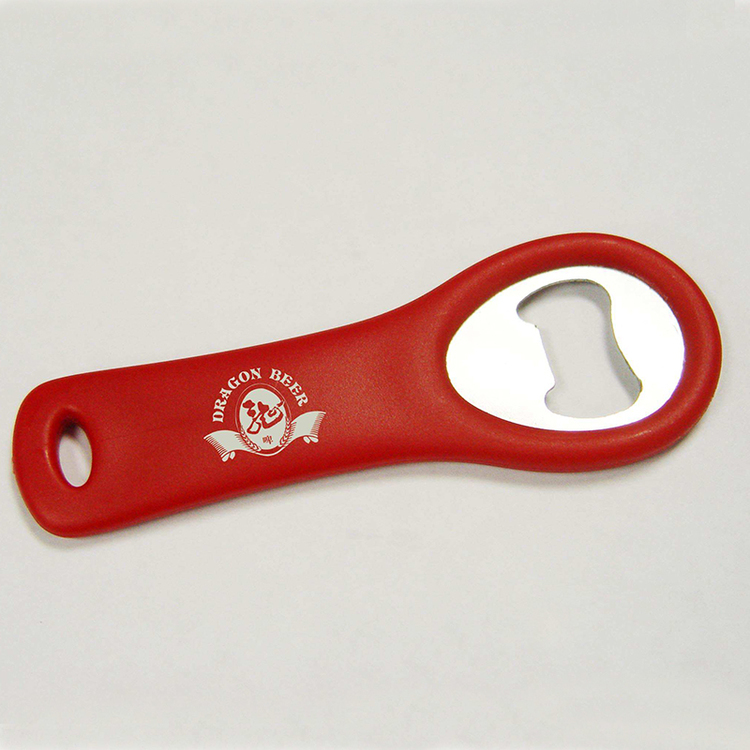 The bottle opener is made of stainless steel. 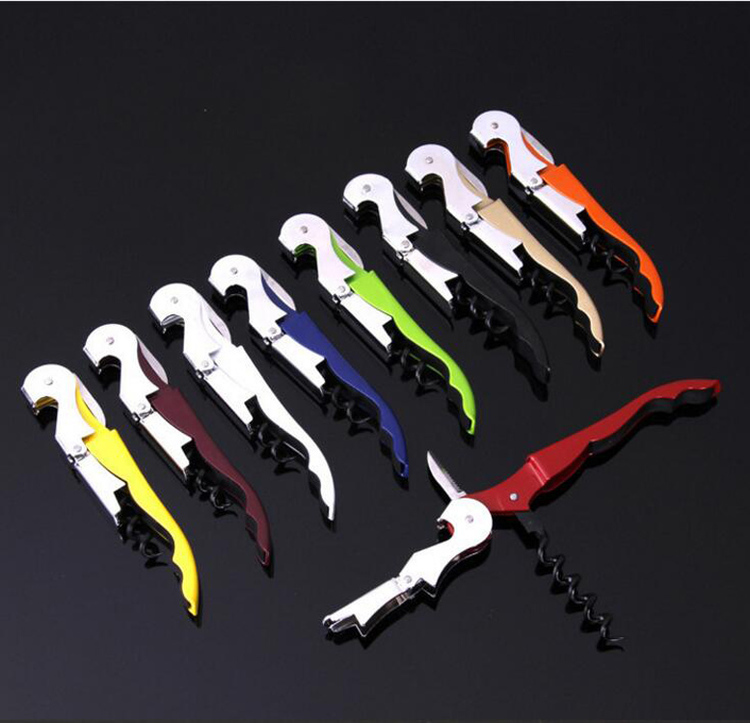 It has multi-function, blends the features of wine corkscrew and bottle cap opener. 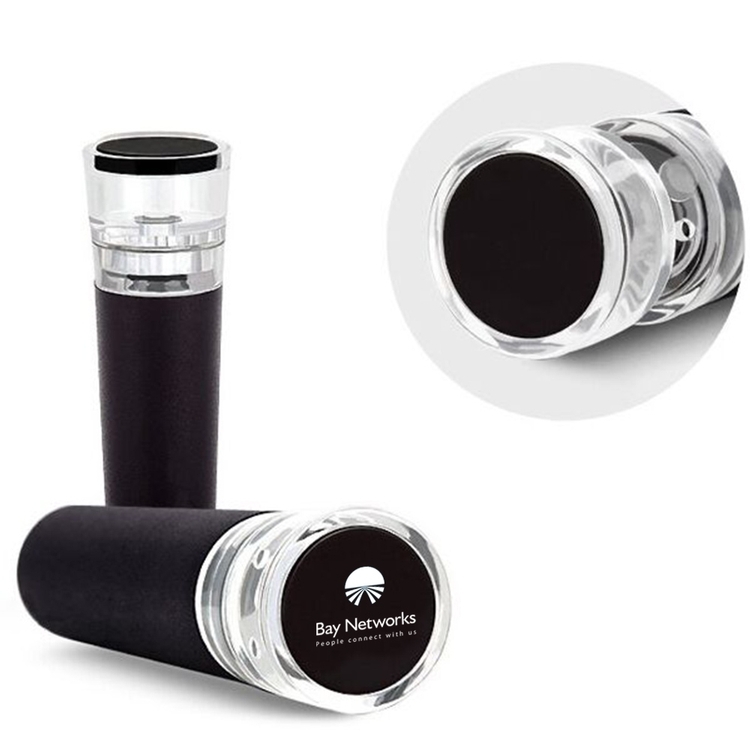 It won't break a cork, easy to pull, and it is comfortable to use. Colors and logo will be designed as you choose. 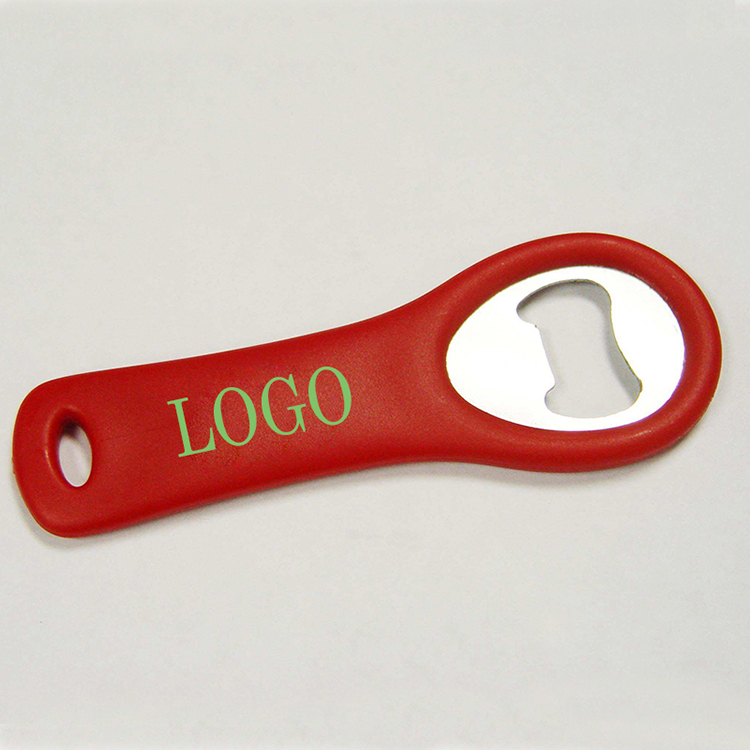 This bottle opener is high quality and your custom logo can be imprinted with all colors. Great as promotions to enhance your brand's influence. Price includes 1 color, 1 side and 1 location. 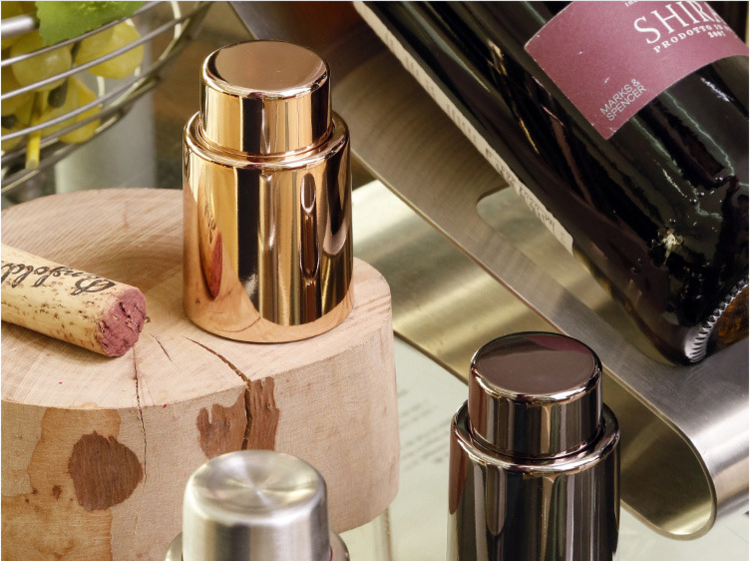 This stainless steel wine stopper is great necessity for wine storage. 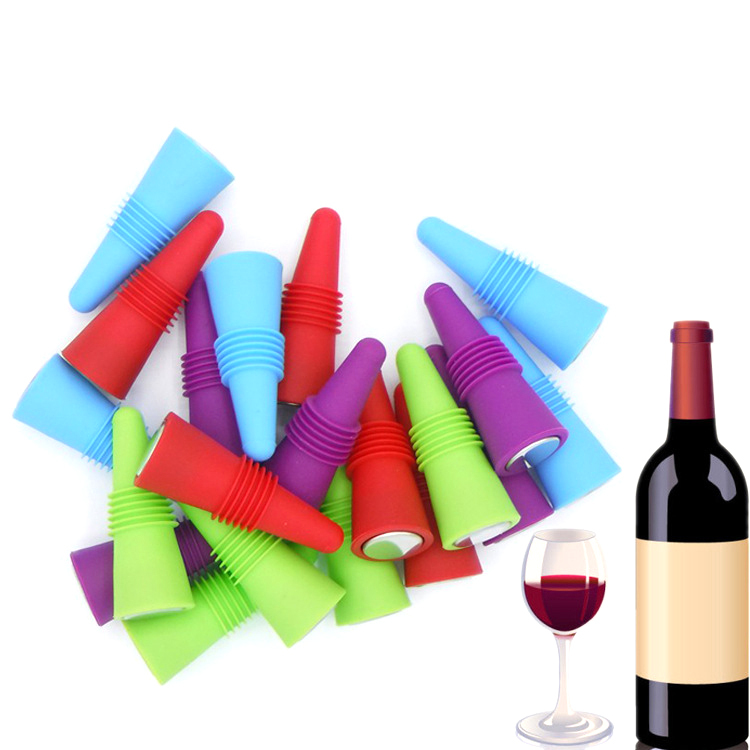 The stopper will fit most wine bottles.With one hand holding the bottle. Use the other hand to press down the top for several times until the top is hard to spring upward.Bottle vacuum sealed. 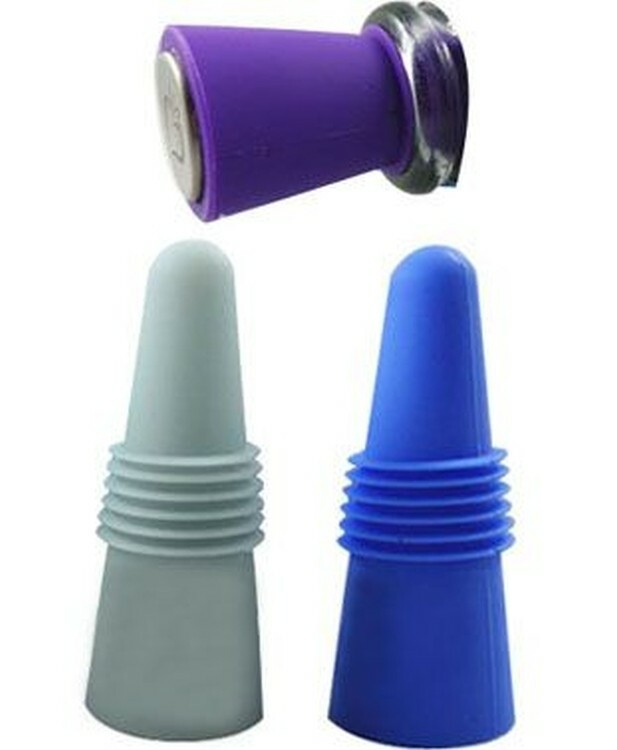 Simply lift up the stopper to release the vacuum, remove the stopper and enjoy. Custom logo is available. 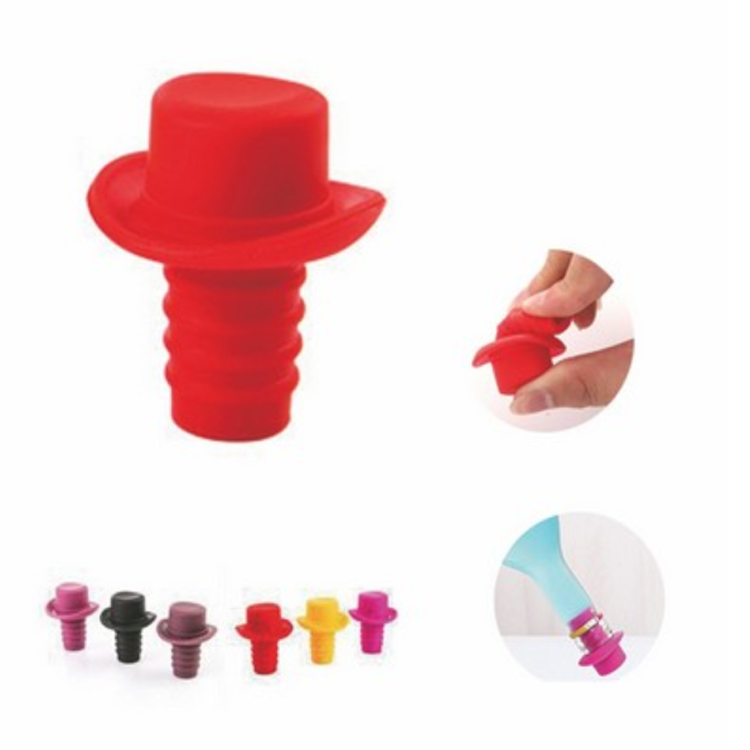 This stopper is made of silicone, features special thread design allows to achieve better sealing effect. Your business logo or advertising slogan screen printing on the top. Perfect item for wine collector, bar and cocktail party. 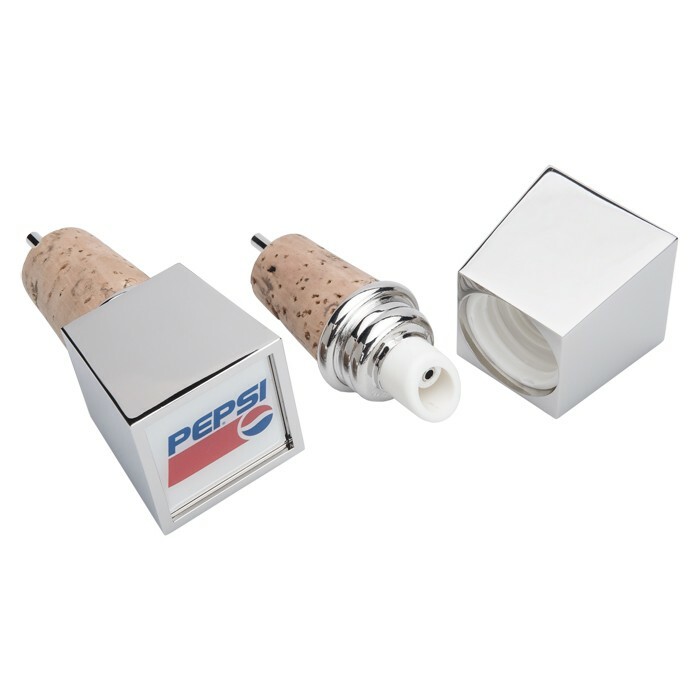 Go with an innovative new twist on the traditional wine stopper. 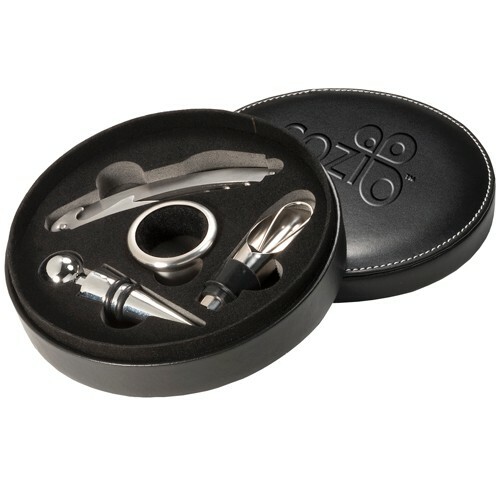 This sommelier's tool comes with a dual use as an award medallion and wine bottle closure. This is ideal for absolutely any upscale event, corporate promotion, and so much more. It's fully customizable on both the front and back with 2" customized Insert label printed with the Vibraprint™ process and poly dome. It's available in an elegant black nickel finish and can be customized with your organization's name, logo and advertising message. 5 day delivered product. 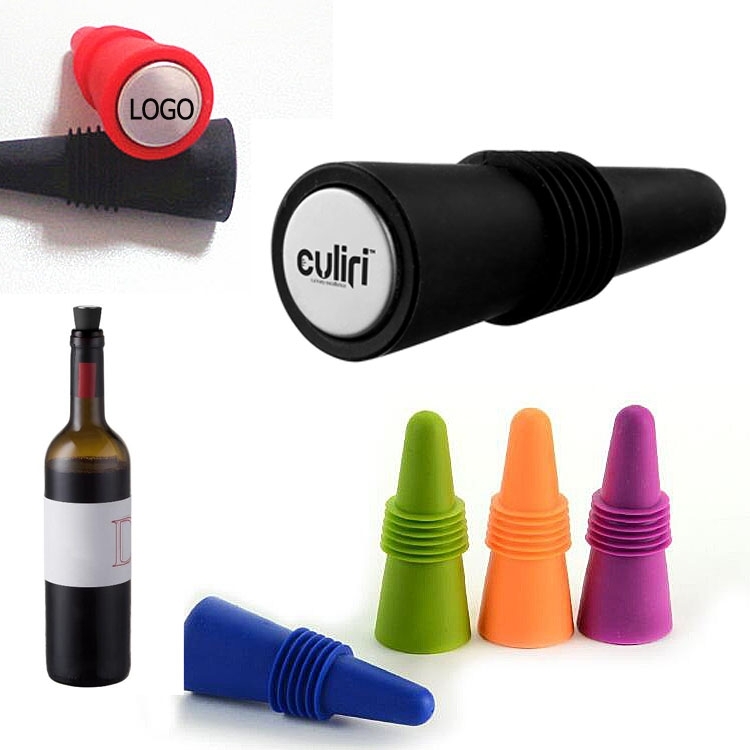 This bottle cap is made of Eco-friendly silicone, prevent wine and beverage volatilizing, easy wash and durable. Perfect details, exquisite molding and engineering, shiny inside surface, fancy and clean. 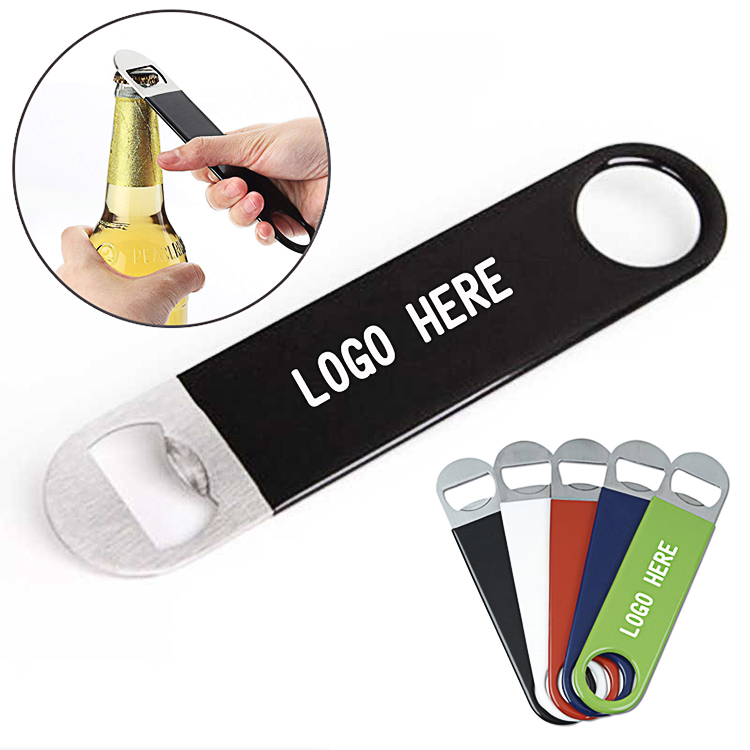 "This bottle opener is made of stainless steel and vinyl coated. Vinyl coating makes it easy to grip, especially while wet. 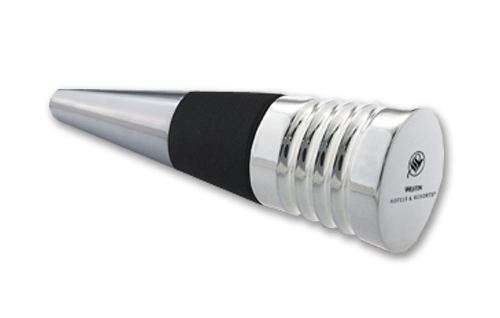 A promotional item that is essential for bar, meetings, restaurant,party,trade shows. Price Includes 1 color, 2 sides imprint. 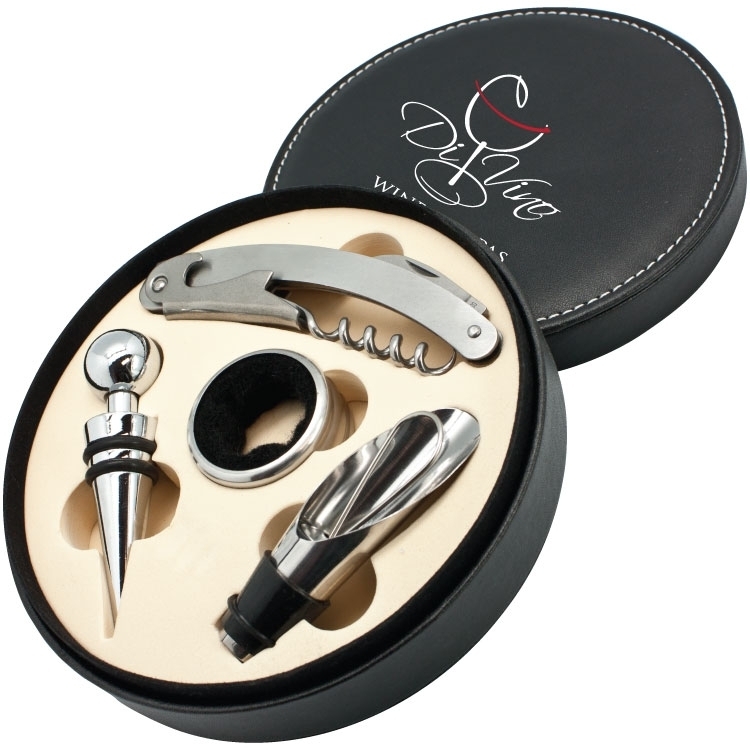 7"" L x 1 1/2"" W "
The 4-in-1 wine club gift set is made of zinc alloy or stainless steel pieces, includes a pourer with stopper, a cone shape stopper, a cork screw, a drip collar, and a case made with poly urethane. 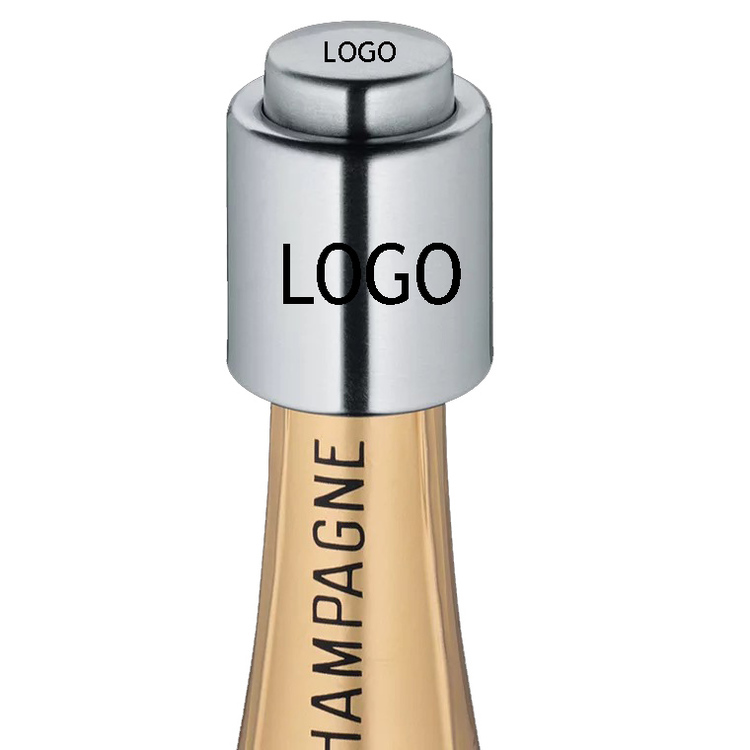 Use stainless steel bottle stoppers to seal up the unfinished champagne and wine, which will seal and keep your champagne fresh. Suitable occasions: birthday, advertising promotion, anniversary celebration, public relations planning, exposition, festival, employee welfare, everywhere, housewarming, awards stay, opening ceremony, award ceremony, wedding, business gift. This bottle stopper is made of silicone. 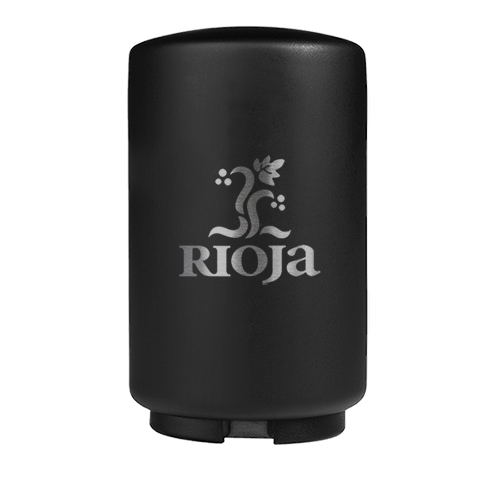 Great for sealing wine, champagne, even olive oil and vinegar. Custom logo is available by screen printing on the stainless steel. Price includes 1 color, 1 side, 1 location. 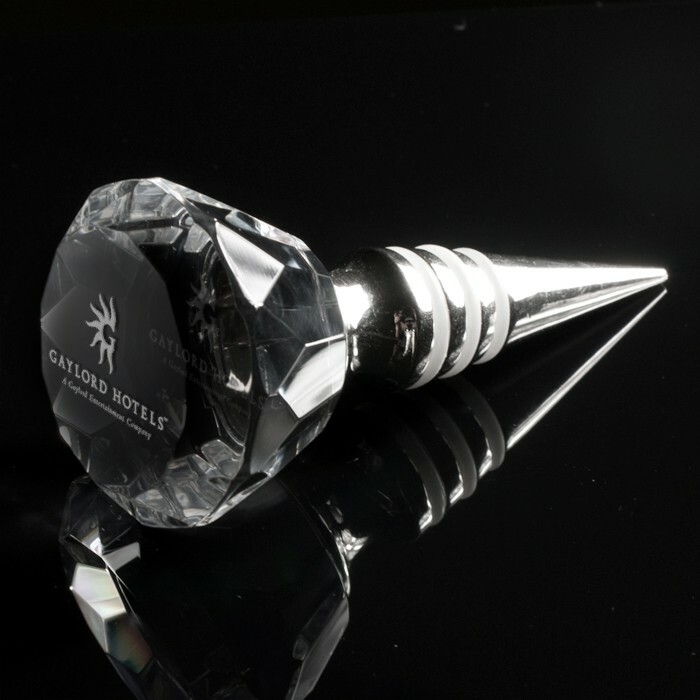 This Wine Bottle Stopper is made of Zinc alloy. 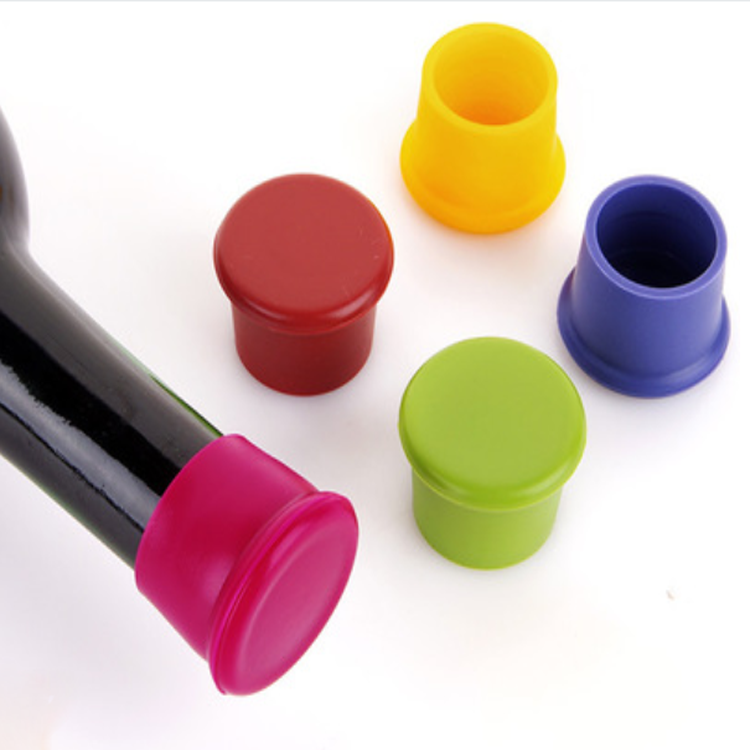 These wine stoppers are modern and practical. Wine needs putting on a wine bottle stopper as long as the wine is opened. Made with the finest quality optical crystal. Each piece is hand finished & inspected to ensure absolute perfection. All crystal is customizable with 2D artwork & packaged in a presentation gift box. 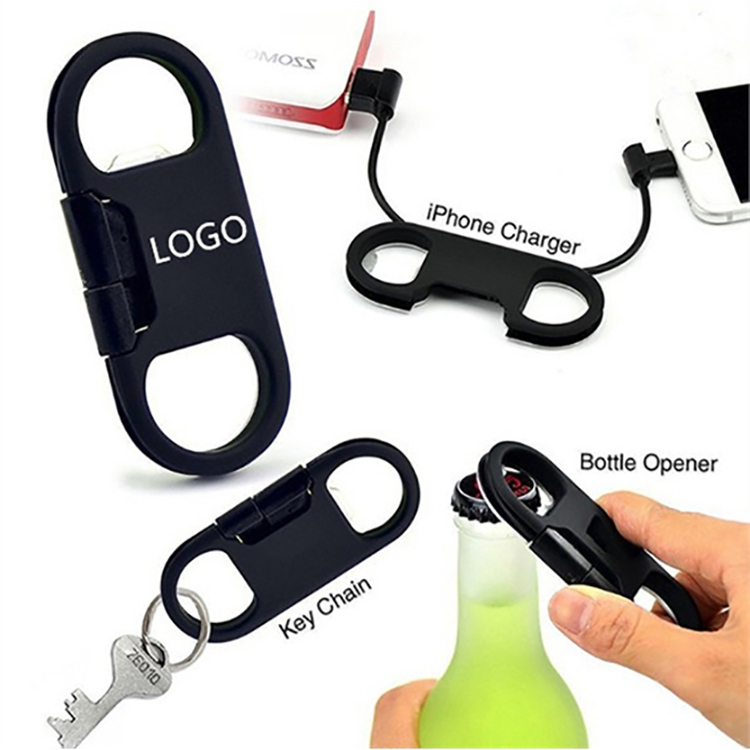 The charing cable bottle opener is made of ABS and PVC materials, Size for 3 1/2" x 1 1/2" x 2/2/5".This multi-functional keychain, which he can use as a bottle opener, can be used as a data line.it's very convenient for travel and work and beer party,good idea to promot your brand. Insert the red wine bottleneck, remove the bottle stopper when pouring wine, and plug back the stopper when you do not drink it. It can play the same effect as the wine stopper. It is convenient for liquid to flow out, and the bottle can be sealed when it is not used.It is Beautiful and elegant, environmentally friendly and hygienic, stable in performance, durable and easy to operate. 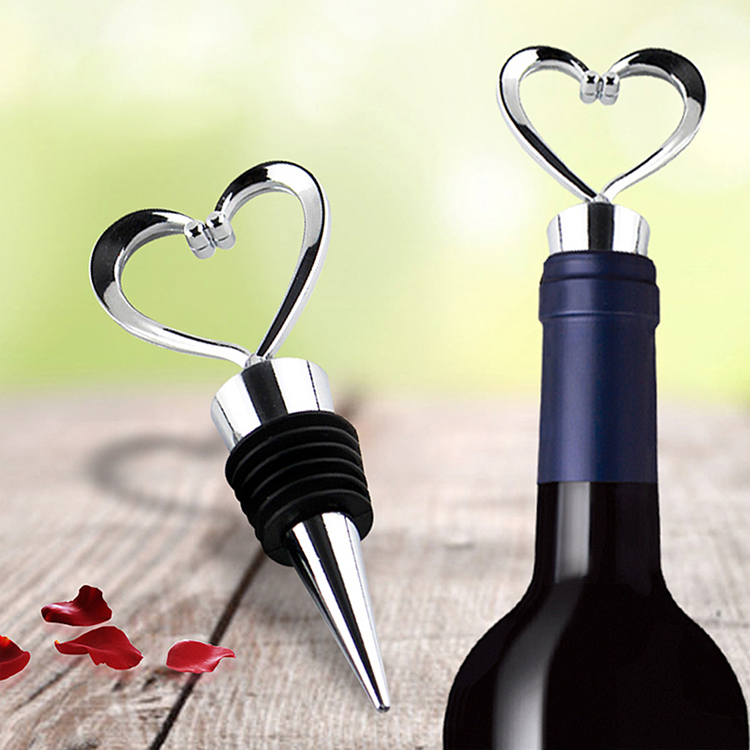 Putting on the pourer, not only can you easily pour the wine, but also add fun, it is also a gift for the drinker. 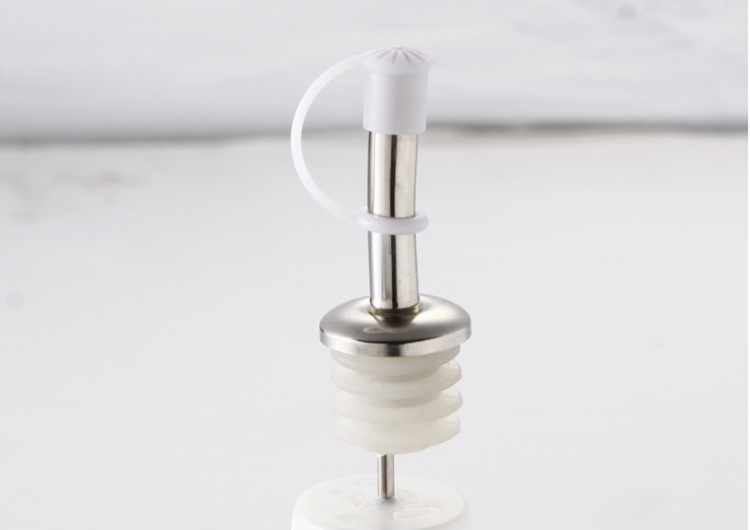 Taper wine bottle stopper is made of zinc alloy, rubber ring perfectly keeps wine bottles secure and fresh.